Requests from some big unnamed shareholders for activism at IBM are likely to fall on deaf ears. No question investors in the company run by Ginni Rometty have reason to be dissatisfied. Big Blue’s top line has shrunk for 11 straight quarters. The IT giant’s shares have fallen about 25 percent from their high, and there’s no hint that the company has figured out a way to reverse course. The snag is that activists don’t have an obvious playbook for IBM’s recovery either. Pushy investors have increasingly called the tune in American boardrooms. In the tech industry alone, they have forced out Microsoft’s seeming CEO-for-life Steve Ballmer, pushed HP to split the company into pieces, and kicked numerous small companies such as BMC and Novell into selling themselves. Success has given figures like Pershing Square’s Bill Ackman and ValueAct’s Jeff Ubben more gravitas with boards – and has caused capital to flow into their funds, further increasing their clout. Mutual fund managers have become comfortable egging activist managers on to do the front-end work of confronting underperforming executives. 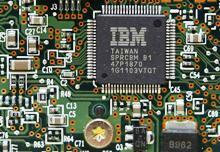 Problem is, despite its many woes and a $160 billion market value, IBM makes a difficult target. Big Blue has spent the past two decades outfinancial-engineering the financial engineers. It has slashed costs and sold vulnerable divisions. While some of the resulting proceeds have been used to acquire profitable and defensible software lines, it has plowed the remainder into buybacks and dividends – and borrowed heavily to juice capital returned to investors. Turning around IBM will likely require the company to reinvent itself by spending heavily on R&D and investment in the business for a couple of years, with less focus on the bottom line. Few public firms ever manage such a shift – much less one the size of IBM, which is also too big to be taken private and worked on away from the headlines. In short, IBM’s turnaround will require a level of staying power that even the most patient of activists would struggle to muster. Did Watson randomly generate IBM's weather deal? Several top IBM shareholders are seeking help from activist investors, but have been turned down by both Bill Ackman’s Pershing Square and Jeffrey Ubben’s ValueAct Capital, Reuters reported on April 2, citing unnamed sources.